[By Lis Watkins in London] I’ve been so very lucky this year to do lots of travelling and the month of November was no exception as I visited Cornwall in the far south west of the UK and also Clermont-Ferrand in central France. 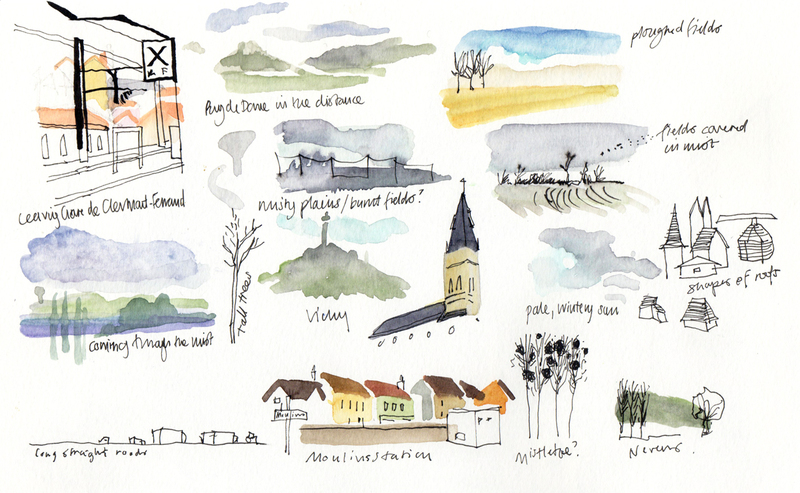 Both trips involved long train journeys, so it seemed a good idea to combine the travelling with drawing. Rather than draw inside the carriage, I tried to quickly capture a little of the passing scenery, remembering sketches I’d seen a few years back by Caroline Johnson, who recorded little details from a bus journey in her sketchbook. 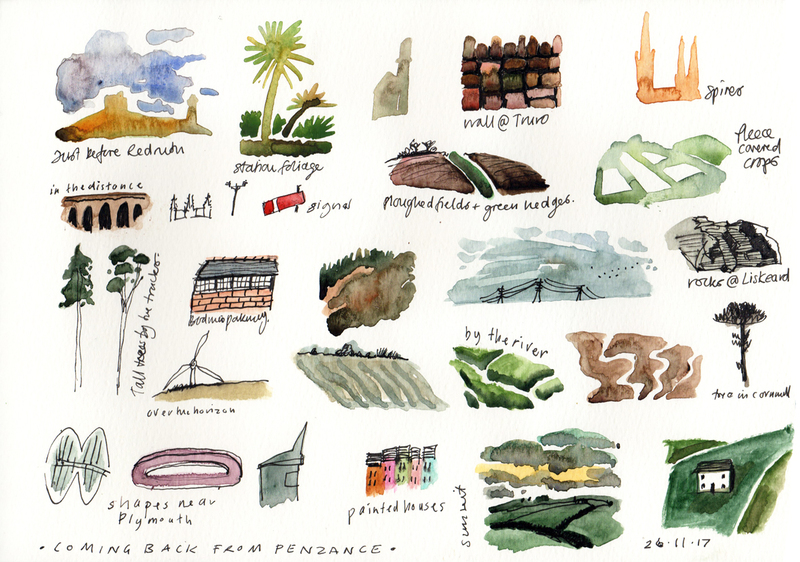 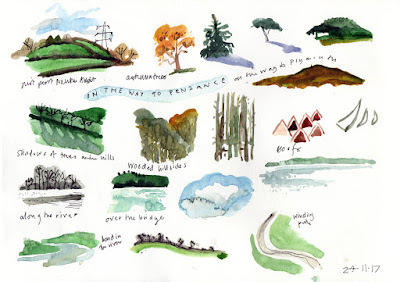 I used a small brush pen with my pocket watercolour set plus my favourite Tikki pen in a large Moleskine watercolour sketchbook, making a different small image each time the train stopped or we went through a different type of landscape. 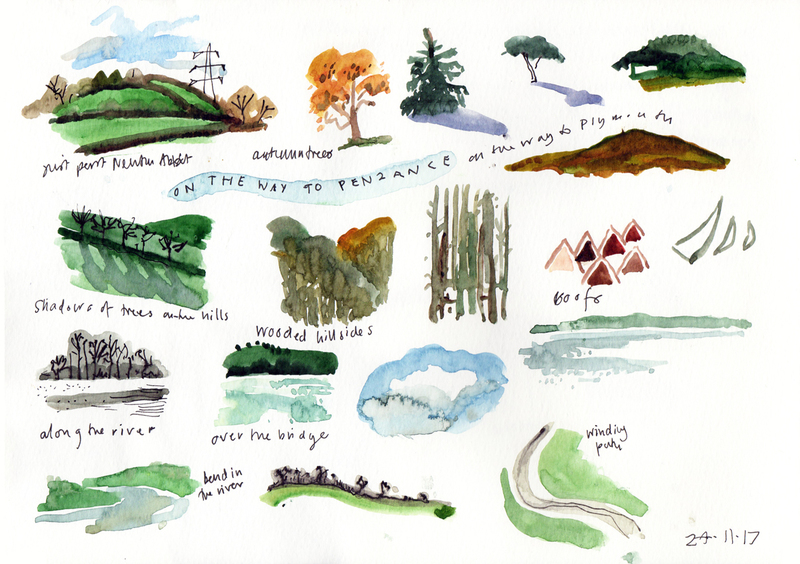 Here’s hoping for lots of drawing opportunities in 2018 wherever you are in the world!